Make Mexican Street Corn Dip and you won’t be able to stop at just one chip. Fresh corn, black beans, tomatoes and red onion blend into a creamy dressing with a bit of heat. Top it off with feta cheese and you’ll be hooked too. True story. Not too long I became addicted to Mexican Street Corn in a Cup. It’s delicious. I actually resist making it very often because I end up eating more than my fair share. Sign of an addict? Maybe. So, I came up with Mexican Street Corn Dip. It has the same great flavor of elote but gets pops of color from tomatoes and red onion and a protein boost from black beans. 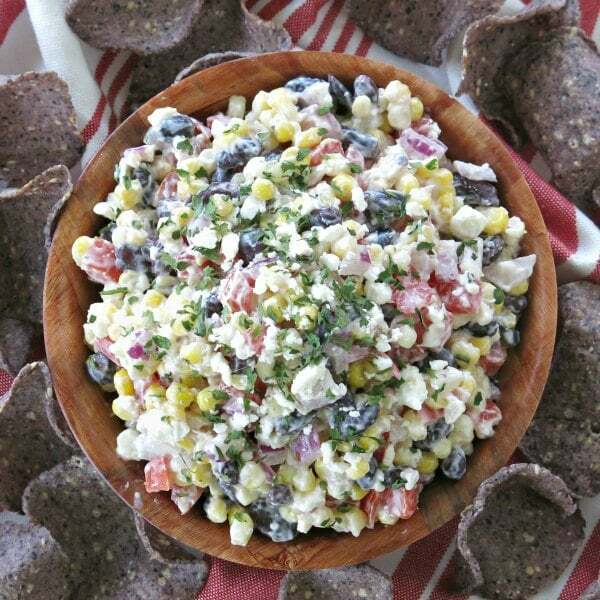 This variation is a good excuse to make it for summer parties or any fiesta along with Easy Pineapple Salsa and Fresh Corn and Black Bean Salsa. Make all three so you just might have extras. Corn – This recipe is best with fresh corn and the easiest way to make it is by cooking corn on the cob in the microwave with the husk on! But, if you have the grill out, then use this method! And, if you only have frozen or canned corn, then use that. Sour cream or Greek Yogurt – It adds tang! 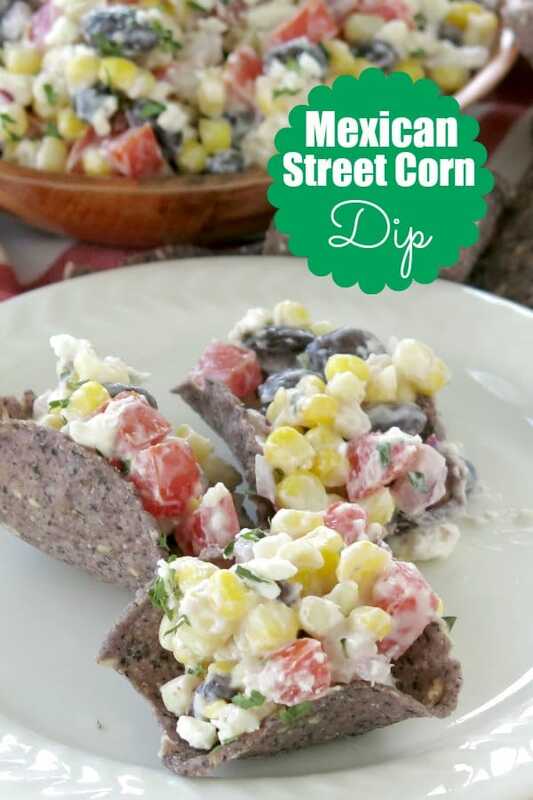 Sour cream gives Mexican Street Corn a very traditional taste. Greek yogurt is a healthier option and tastes great too. Cayenne pepper – If you absolutely can’t stand spicy recipes, then leave it out. Otherwise, add at least a little. I’m pretty sure the sweet/heat is what makes this recipe so addictive. We were pretty conservative. 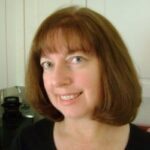 Calories – To keep the calorie count down a little, don’t use full fat products! No chips? No problem. Just use a spoon and call it Mexican Street Corn Salad. Yep. I’m hooked. And, I’m really glad that fresh corn is so readily available right now. 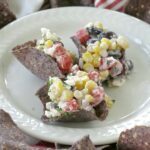 Mexican Street Corn Dip combines fresh, corn, black beans, tomatoes and red onion in a creamy dressing with a bit of heat. Top it off with feta cheese and you'll be hooked too! While the corn is cooking, combine mayonnaise, sour cream, lime juice, garlic and cayenne pepper in a serving dish. Add corn, black beans, red onion and tomatoes to serving dish and mix with creamy dressing. I could seriously eat this daily! Fantastic recipe and so perfect for Summer! Thanks for your comment! I’m looking forward to the next party so I can make it again. Definitely hard to stop at one! I will use sour cream and eat whole thing. Thank you for the recipe.